The MLM NETWORK MARKETING TOOLS Checklist. Do you use business building tools with your home business? Are you familiar with certain mlm business tools that will help you build a team? Are the network marketing tools that you SHOULD BE using and are not? 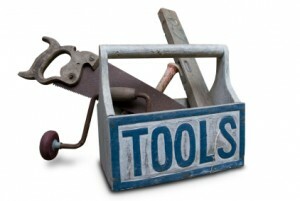 Tools are a part of the culture of our profession. Here are the tools that I believe will help you build your business. If you are a direct seller, or your company provides this, make sure that you have this catalogue available to show the reality of how many products you offer. More products are on the way and your company should have something to show the product line. Make sure that you have business cards to give prospects. Go to Vista Print for cards. Get yourself a monthly planner-online or offline– and use it. Keep track of your appointments and commitments. complete presentation anywhere in five minutes. Make sure that you have a VM set up on your phone and a professional message that people hear when they call you. Since we are an online driven business, you will need a computer that you can use to send email, do back office business, and many other things. This is a great recruiting CD that you initially hand out to a prospect to show the possibilities with our company. 8. DVD or Video for Recruiting. Many people will want to see rather than hear the presentation. A DVD does exactly that as well as the corporate video that you have to use from your company. This is a tool that you will use to expose the business to your friends as well as do trainings for your team. These are getting back in vogue today and more and more popular. Even with Social media meetups and mash ups. This online tool is used to recruit your prospects with an online presentation. It is part of the four step recruiting process. It is also a tool used for PassionFire’s Live Webinar Events on Monday nights at 10 pm EST. 12. Business Meetings and Events. These are calls that are done on a conference line where numerous people can call in on the same line and participate in the call. 14. In Home Presentation CD / DVD. This is a training on how to do a presentation in home, from start to finish. downline for success in your mlm home business. socialmediasuccesstraining.com Learn all about how to use tweep search to get more out of twitter.